In the following post, we describe how to master Google Rich Snippets. On Firebear, you can already find out how to achieve this goal with the help of Mageworx Extended Rich Snippets. Today, we want to shed light on the Magento 2 Google Rich Snippets extension by Amasty. By leveraging rich snippets, you will help search engines better understand your ecommerce storefront and information placed on it. Besides, you will improve the experience of customers who look for the desired goods by displaying additional details in organic search. Thus, it will become possible to draw more relevant traffic to your website. 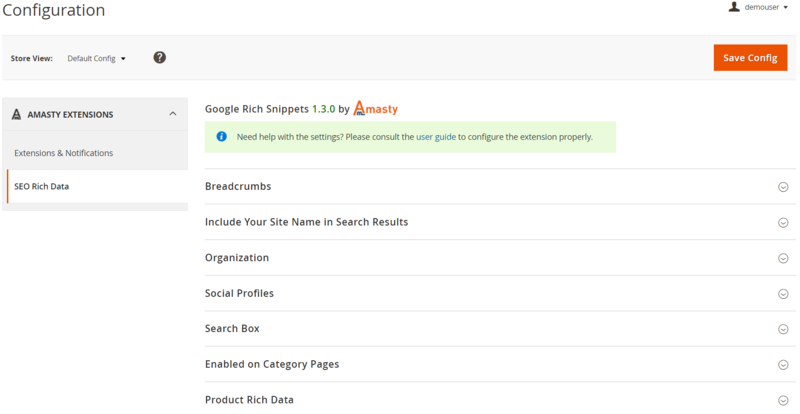 With Amasty Google Rich Snippets for Magento 2 and 1, you will be able to enable breadcrumbs for rich snippets. Another important feature is related to the ability to generate advanced rich snippets that contain organization name and logo. Displaying the search input box for a home page in search results is also possible with the extension. Moreover, the module lets you show average products rating and starting price data for category pages. Besides, you can add products availability tag to the rich snippets. Let’s figure out the key benefits of using rich snippets. First of all, it is a much faster website indexation. The second essential benefit is enhanced visibility in organic search. Next, you get higher rankings in search results. As a result, you increase the click-through rate, get massive targeted traffic, and decrease bounce rate. The Google Rich Snippets extension by Amasty provides the ability to take advantage of the most useful features related to rich snippets. Thus, you can fully leverage breadcrumbs, showing navigation path to desired pages. Note that clear navigation is a key step to a user-friendly ecommerce storefront. Besides, it makes the website search engine friendly, since Google and other web crawlers better understand its content. Thus, a page position in the site hierarchy is always accurately displayed among other search results. 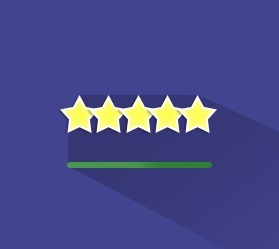 Average product rating and starting price can also be displayed with this Magento 2 Google Rich Snippets extension so that customers can learn more about your pricing policy and items quality right on a search result page. 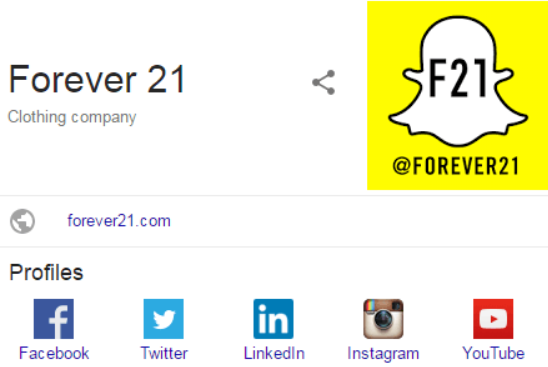 Besides, you can display information about your organization: show a store URL, name, and logo to raise your brand awareness. Keep in mind that logos are often shown only for highly reliable websites so that you can increase the level of trust to your ecommerce storefront with Amasty Google Rich Snippets for Magento 2 and 1. You can also simplify the process of reaching your company for clients by adding icons of your social media profiles to the rich snippets. As for advanced options of Amasty Google Rich Snippets, the extension provides the ability to display a handy search box right in the Google search results. As a result, the product search process becomes maximally convenient, and your customers can look for the desired goods even without visiting your site. To make customer shopping experience even more comfortable, this Magento 2 module enables store owners to use Google Image Search markup. The stock availability tag is also among the exclusive features of the Magento 2 Google Rich Snippets extension. It provides customers with the ability to see whether the desired product is in stock right from Google. Besides, you can add brand and manufacturer tags to inform online shoppers about the product origin. It is also possible to replace a full site link with any custom store name, so your rich snippets will look more accurate and precise. The extension can be configured under Stores -> Settings -> Configuration -> Amasty Extensions -> SEO Rich Data. All settings are divided into seven tabs: Breadcrumbs, Include Your Site Name in Search Results, Organization, Social Profiles, Search Box, Enabled on Category Pages, and Product Rich Data. In the Breadcrumbs section of the Magento 2 Google Rich Snippets extension, there are three options: Enabled, Fixed Category Path, and Type. First, enable/disable breadcrumbs. If the second option is enabled, the extension uses the most specific category path; if disabled – category info is available. The Type setting defines how breadcrumbs look for the search engine, whether as long (default option) or short. The Include Your Site Name in Search Results section provides the ability to specify a website name (the Website Name option) and include it in rich snippets (Enabled). 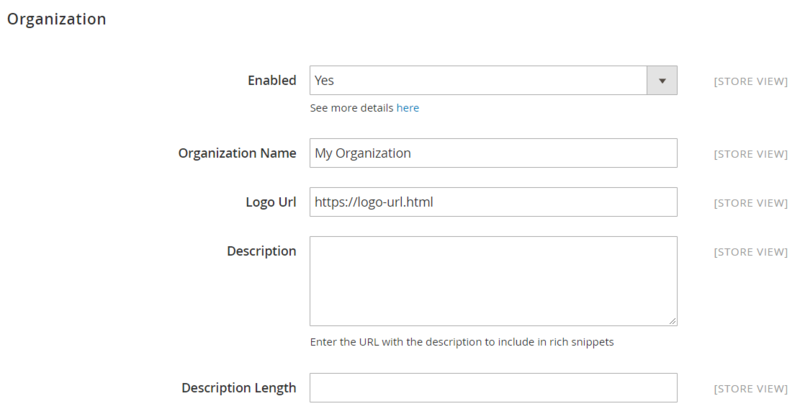 In Organization, you enable the display of organization name and logo (Enable) and specify both parameters (Organization Name and Logo URL respectively). In the next field, you can insert an URL with the description and then define description length. 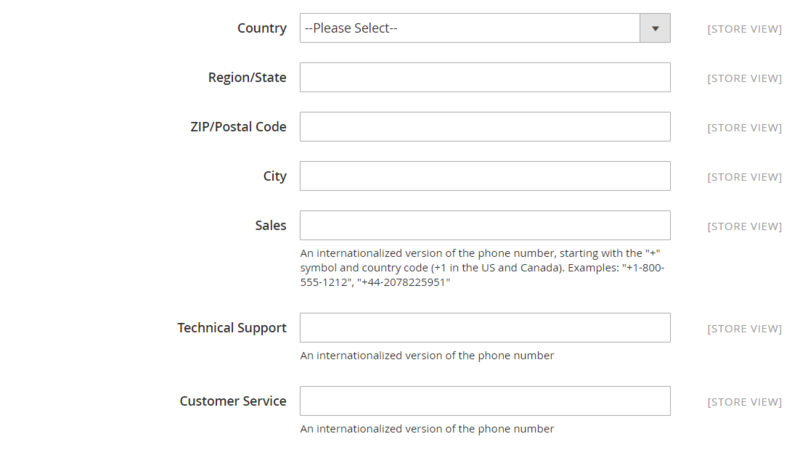 Also, here you select your country, region/state, ZIP/postal code, and city, as well as enter phone numbers for your sales department, technical support, and customer service. 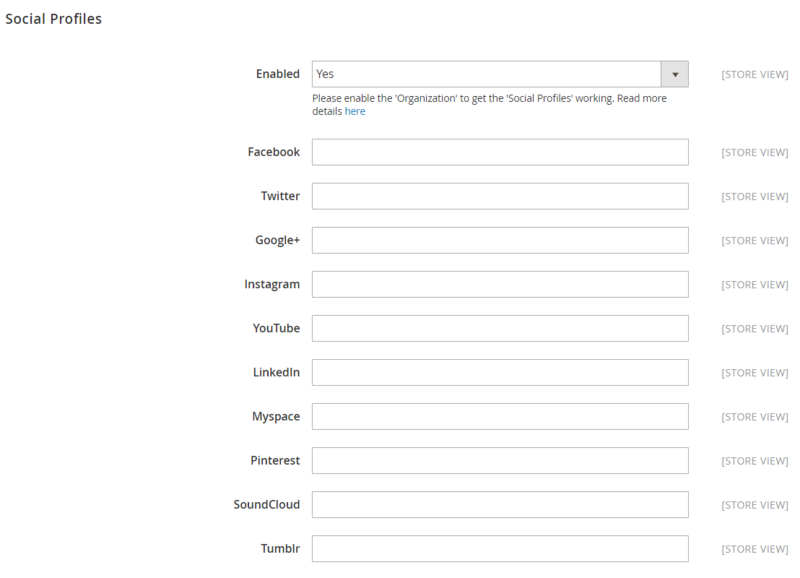 The Social Profile tab allows adding social profiles icons to the Rich Snippets. Available social networks include Facebook, Twitter, Google+, Instagram, YouTube, LinkedIn, Myspace, Pinterest, SoundCloud, and Tumblr. The Search Box section of the Magento 2 Google Rich Snippets extension lets you activate the feature. Note that it can be disabled by Google. As for Enabled on Category Pages, this section lets you enable a feature that adds average products rating and minimal price rich data on the category pages. Here, you also can allow showing description and select its type: category full description or page meta description. 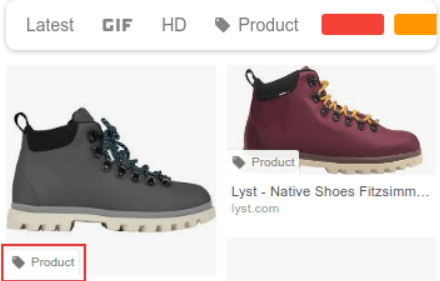 In Product Rich Data, you can activate the usage of the availability (to inform if a product is in stock) and ‘New’ condition tags in rich snippets. Next, you can allow Google to show simple products of a configurable one as separate offers in the search results and do the same for the associated items of grouped products. Then, select a description type for rich snippets: product short or full description or page meta description. 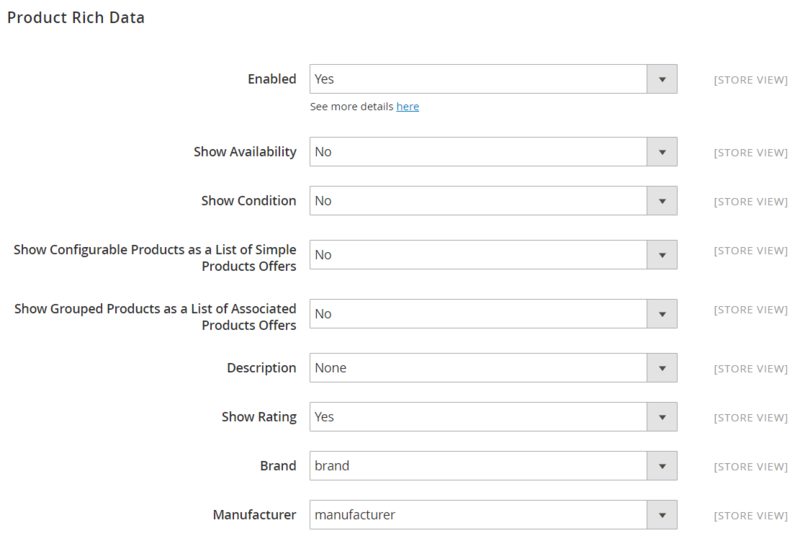 Also, you can enable displaying products rating and select product attributes for Brand and Manufacturer tags. New feature: Brand and Manufacturer tags can be included in the product data. A new option was added: merchant business info can be displayed in Rich Snippets. A new option was added: buttons with the links to a company’s social profiles can be added to snippets. A new setting was added: ‘Breadcrumbs Type’ allowing to set long or short type for the search engine. A new option was added: now you can display a ‘New Condition’ tag in snippets. A new option was added: now configurable products can be presented as a list of simple products. A new option was added: now grouped products can be presented as a list of associated products. Now you can show description and a price with taxes in Rich Snippets. Now, when you understand the importance of Google Rich Snippets, the Magento 2 Google Rich Snippets extension by Amasty should seem even more valuable. As you can see, it offers the intuitive and customizable settings, designed to fully leverage the power of rich snippets improving user experience, search engine rankings, and brand awareness. As for the price of the module, it is $129 and $79 for Magento 2 and Magento 1 versions respectively. We have only one question unanswered: which module suits best your ecommerce needs and why – Amasty Google Rich Snippets or Mageworx Extended Rich Snippets?